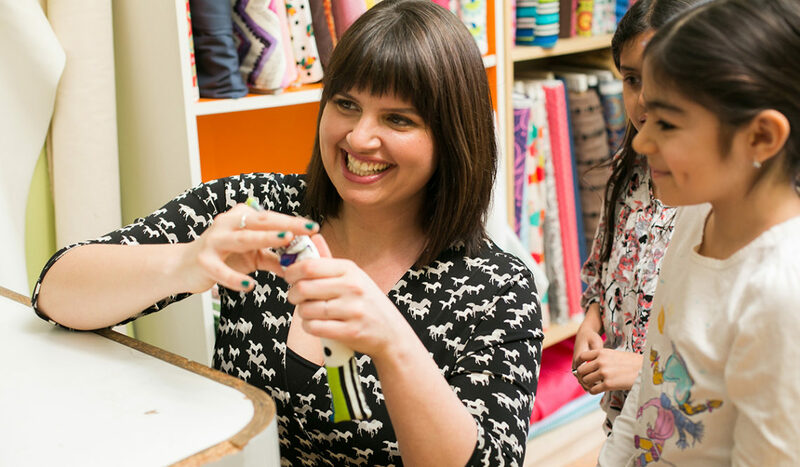 So you've decided you'd like to teach kids to sew? I loooooooove that. Perhaps you've decided you'd like to teach your own kids how to sew. Or more importantly, maybe you're a school teacher looking to add sewing to your school curriculum. Or maybe you've decided to make this a full blown home business. You're ready to offer kids sewing classes to local children in your area. Well whatever the reason you've decided to teach kids how to sew, I applaud you! Teaching someone this important life skill is just as rewarding as finishing up a sewing project for yourself. And we all know how amazing that feels. Welcome my friend. You're surely in the right place. You've come to the site with the internet's absolute best advice on teaching kids how to sew. Megan has written an entire blog dedicated to this topic. We also have all the curriculum one might need to get started teaching sewing classes right away. But today I'm going to stick to the basics. I want to talk about some really helpful tips that are going to help you when you're first starting out teaching kids to sew. 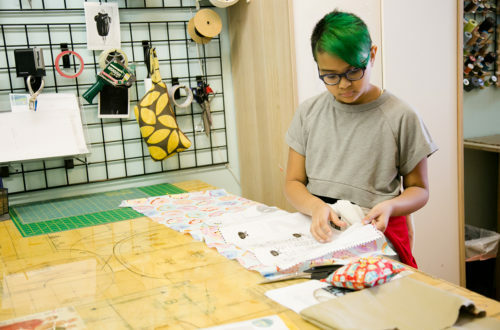 Here are some sure-fire, and maybe surprising, tips for teaching kids how to sew. 1. Pick projects that don't take too long when just starting out. Instant gratification in the name of the game when it comes to working with new sewing students. If your student is completely new to sewing and in class for the first time, you'll want to choose a sewing project that doesn't long. If your class is an hour, focuso the basics for the first 1/2 hour then make a small project like a headband, small pillow or a bookmark for the second part of the class. 2. Don't be too picky about what the finished project looks like. The major difference between teaching kids to sew and teaching adults to sew is that kids are going to love just about whatever they finish. They're not going to nit pick it and point out all the flaws, like an adult sewing student would do. As much as I would love for my younger sewing students to have all finished edges and perfect seam allowances, it aint' gonna happen. And that is OK. I encourage them just the same and point out all the wonderful things about their project. I know that no matter how it turns out, if they had fun making it, my job is done. 3. The right sewing machine makes all the difference. I've taught sewing on just about every sewing machine out there. And it can be done and done well. But what I've also learned is that it takes a lot more work. If you have a few little features on the sewing machine you are using for class, your students will have a better experience. They will also learn more in your class. 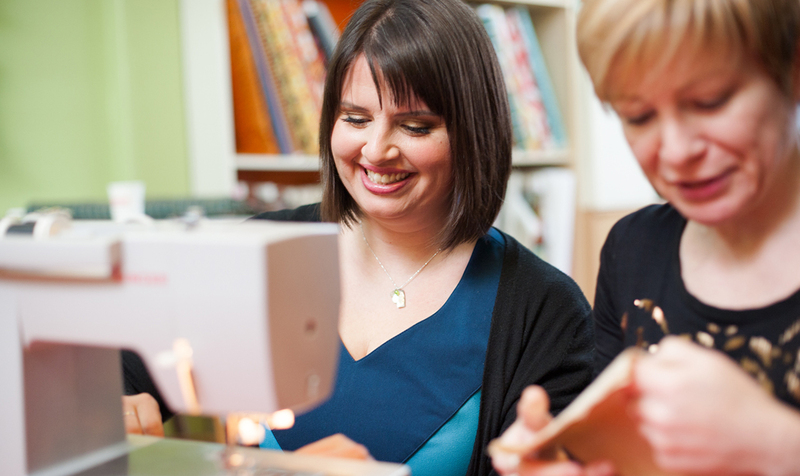 Most importantly, you'll be a happier sewing teacher at the end of the day. I have written more extensively on this topic here. But in a nutshell, if you've got the right sewing machine, your class is going to go a lot smoother. What do I mean about the right sewing machine? Well a couple of features I rely heavily on are that the machine has a speed control option. The ability to slow the machine down, like really slow, for a new stitcher taking your class is life saving. You can walk away from that new student (because you have like 7 other kids in the class) and not worry that too much damage is done. 4. Please, please, please don't give everyone their own sewing machine. 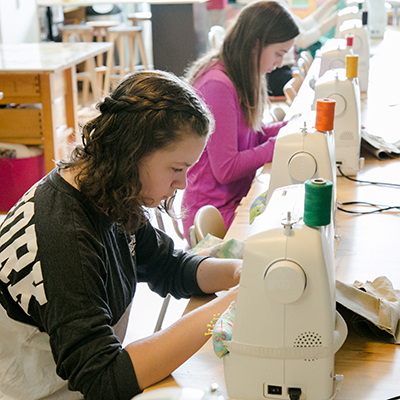 Contrary to what you may think, plopping each student down in front of their very own sewing machine is doing a disservice to your young student. Even if your classes are 3-4 people to start, sharing sewing machines is where the learning happens. The actual sewing on the machine is only about 40% of what will be happening in your sewing class. The rest, including cutting, pinning, tracing, etc. is just as important, if not more important. I firmly believe that stressing this from the moment your student walks into your class will make your students better and will make your classes better. I make sure that my students are actively watching what is going on with the student ahead of them. While waiting to sew, what they are experiencing is almost acting like a second demonstration. I find the more a young sewing student watches someone sewing, the easier it becomes for them. They see what the next step is and it helps them to understand better what is going on with the sewing project. 5. By failing to prepare, you are preparing to fail. No truer words were uttered. When it comes to getting ready for a young sewing class, these are words to live by. I wasn't always of this mindset. I would rush from class to class, get in there and start by the skin of my teeth. This was back when I was teaching all the back to back classes myself and there wasn't really time to prepare. Or at least I didn't think there was. Boy was I wrong. I try to give myself at least 15-20 minutes before the class. This give me time to get everything set up the way I want and make sure I know where everyone is on their project from last time. Even more, this allows me to get present ready for the class I'm about to teach. 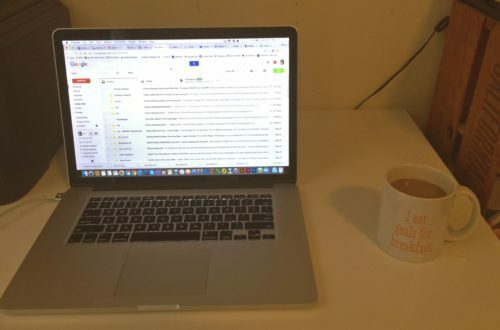 You're running around all day, answering emails, doing marketing and all the things that are required of a small business owner. Your headspace is a lot different than it should be as you're about to start a class. These extra minutes will give you the chance to regroup and give your class the full attention it deserves. Do an experiment. Teach a class where you spend only 10 minutes longer than you normally do getting ready before the class. See how much better it goes for you. Thank me later.